LIA: GROUP SHOW "Space for Change"
We would cordially like to invite you to the Group Show “Space for Change” taking place at the Spinnerei Leipzig. The international artists Ivan Gorshkov (Russia), Stephanie Pooley (Chile), David Ralph (Australia) and Maja Sofranac (Montenegro) will show their works made during their residency stay in Leipzig. Read more … LIA: GROUP SHOW "Space for Change"
Here you will find an overview of the international guest galleries and artists at the Werkschauhalle during the Herbstrundgang on the 21./22. September. Again, the SPINNEREI cordially invites you to the Autumn Gallery Tour. 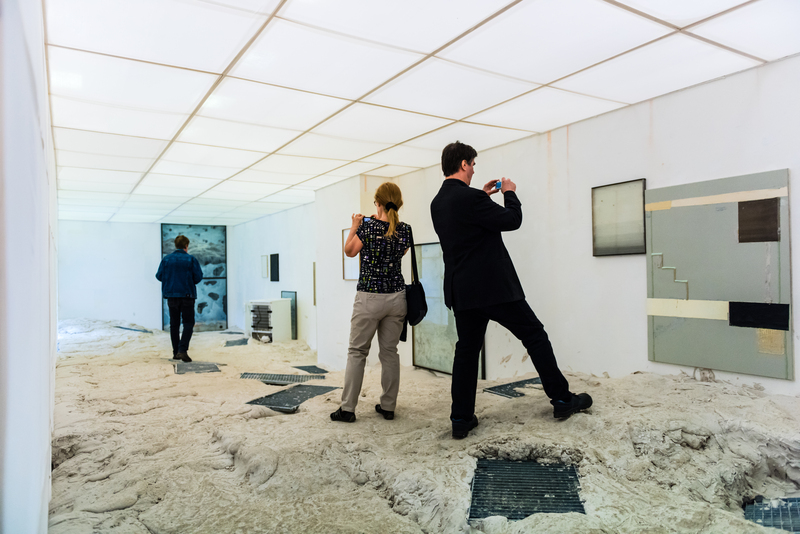 On September 21 and 22, 2013 at 11 am all of the galleries and exhibition spaces open up new exhibitions of various art positions. "The artist as social conscience"